The Lego’s Mack Anthem will be released in a couple of day with its great side loading trailer. This remind me an old project I started several time and aborted each time: a side loader. A sideloader does exactly what its title suggests. It loads and unloads from the side of the machine. 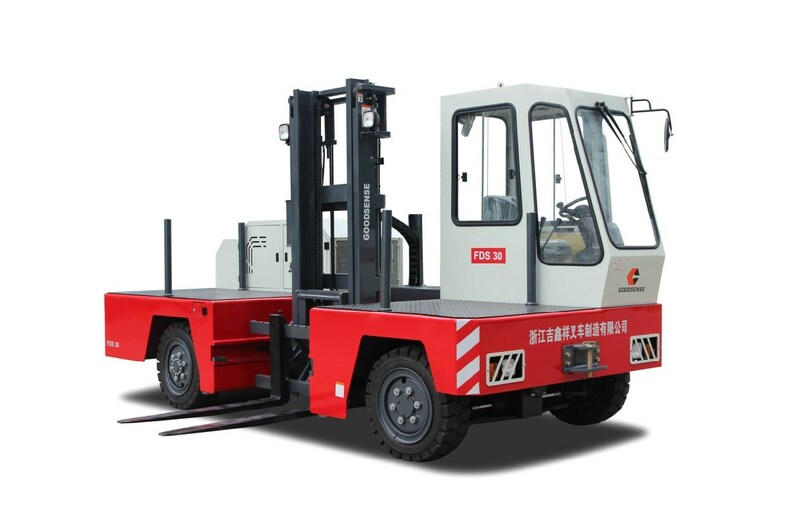 Instead of the forks being located in front of the equipment like on a standard forklift, a sideloader’s forks are located on its side. The Sideloader subject in Lego Technic has already been tried several time, with strings, powerfunction or manual. And it is actually one of my oldest project idea, but I like to use my brain not only copy what has already been built. So it has been in standby for month. With this system of chain, you are able to control both the translation and another axis, the panning of the camera on the video, but can be used to lift the fork on the vehicle trough a worm gear or another system. First, the frame of the vehicle. It has to be stiff enough to support all the effort. Remember the truck is almost cut in half. Second, the chain itself. Even if it doesn’t look very hard to understand and build, integrate it in a whole truc may be challenging. Third, the translation. Lego are not perfect, there is always some shaft during assembly and this may cause the forklift to be completely unstable? I will have to solve that. Fourth, motor or not motor. I like Power Functions, but this time I will go on a manual system and see later if it’s can be motorized.